Striker Macauley Bonne hit the back of the net twice for Leyton Orient as they came away from Woking with a wonderful 2-0 victory that puts them into 7th place in the National League. Woking is never the easiest place to get a result and with the O’s coming off a 6-1 drubbing at Bromley Town on Tuesday night the sense of fear was in the air for Orient, yet they came through this battle with flying colours. 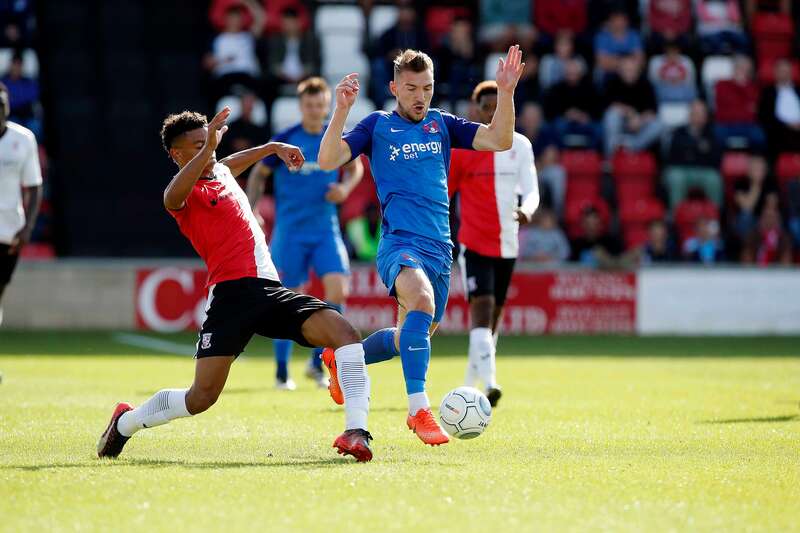 Orient came into the contest at Kingfield Stadium with over a thousand fans making the trip and O’s boss Steve Davis saw his team show some steel by scoring twice in the second half to claim a third win from their opening five matches. 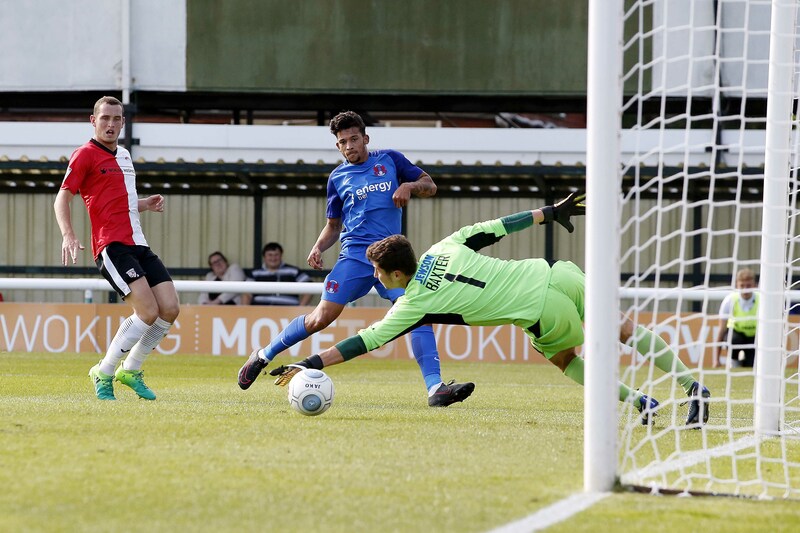 Macauley Bonne who scored last week in the hammering at Bromley looked in good nick throughout and could be an early saviour for the team with his direct ability to score goals. In a drab first 15 minutes there was very little evidence of either team wanting to put pressure on the opposition with the majority of the action penned into the midfield area. In the 20th minute at last we saw the first real major action to occur, as that man Macauley Bonne fired over the bar after good play from James Dayton. 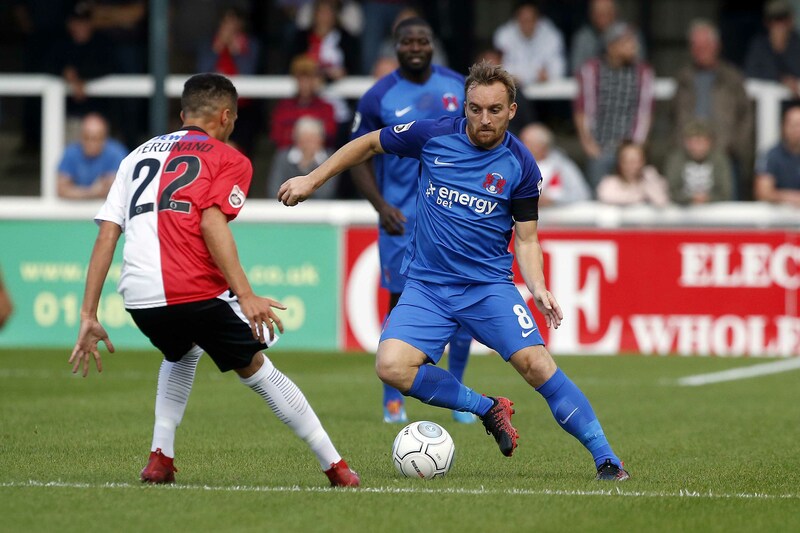 Orient looked decidedly brighter from there on and it was the start of a sustained period of pressure with David Mooney volleying wide seconds later. Then a Dayton free kick caused pandemonium in the Woking area minutes after, yet the breakthrough wasn’t to be. Woking began to get back into the match though, with Joe Ward heading wide before George Elokobi bravely blocked an effort by Richard Orlu and soon after Philpot tried his luck just after the half an hour mark, yet his shot scurried past the outside of the post. Jobi McAnuff and James Dayton were promoted back into the team at the expense of Josh Koroma and Rommy Boco who dropped to the bench and it was Dayton that was all over the field for the O’s winning free kicks, firing over crosses and being a major headache to the opposition. Orient would have been chuffed to pieces to come in at half time level at 0-0 following the terrible experience of last Tuesday, the biggest defeat for Leyton Orient in non league football. This game against Woking was a major test of character for the O’s. Would they crumble and fall or would they lay down the gauntlet to those who are convinced Orient could drop out of the National League at the first attempt? Pleasingly Orient held their nerve, the defence held their positioning and Orient slowly took the game to Woking in the second period. Orient went for the jugular straight after the restart, as James Dayton tested Woking goal stopper Nathan Baxter. Soon after Alex Lawless saw an effort fly over the crossbar to the dismay of the O’s travelling entourage. Less than a minute later in the 50th minute, the O’s made the breakthrough as full back Jake Caprice shot down the right-hand side and impressively crossed in for Bonne to slide home the opening goal to send Orient’s travelling fans loopy. Craig Clay replaced first-team captain Charlie Lee for the O’s yet Orient continued to have control of the game and James Dayton (who else) saw a free kick punched away by Baxter, as O’s searched for a crucial second goal. Dayton, the former Cheltenham Town winger was involved yet again on 75 minutes but his low shot was blocked following McAnuff’s cross and with eight minutes left, Orient wasted a great opportunity to double their advantage when Clay won the ball back brilliantly in the middle of the park who then found McAnuff and his effort deflected into Mooney’s path, but the experienced forward couldn’t beat Baxter. With 11 minutes to go, Macauley Bonne dazzled on an excellent run and after finding space, he shot perfectly into the bottom corner to make it 2-0 to Orient. With Woking playing sheepishly and not looking to threaten and the O’s happy to finish with a 2-0 win the game petered out and the result saw Orient earn a third win of the campaign and move up the table with nine points from their opening five games and they now have a whole week to prepare to face Eastleigh at Brisbane Road on Saturday 26th August. Dayton and Bonne were outstanding and this was a good team performance at Woking in front of a crowd of 2,855 particularly in light of Tuesday’s horrendous result.